My week began in Dallas where I attended a Conference USA Board meeting. The topics covered in our meetings were diverse and complex, but the staff do an excellent job in organizing the information in digestible form so we can make good decisions. I appreciate these opportunities to meet with our C-USA presidents and staff members. Following the meeting, I was ready to get back home Monday evening after a round-robin flight from Monroe to Miami to Dallas and back. On Tuesday, I had a most enjoyable meeting with Coach Leon Barmore. Coach Barmore and I first met in Bastrop when I was in high school and he was our basketball coach. 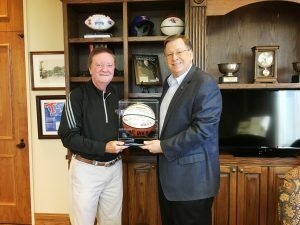 I have a deep appreciation for what he has done to elevate our institution through his leadership in building a nationally-prominent Lady Techsters basketball program, and I am most grateful for his friendship and support. 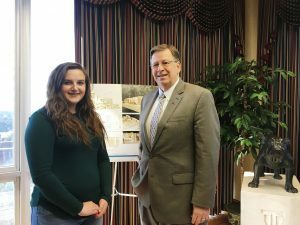 I enjoyed several visits from students and staff on Tuesday as well as a visit from Dr. Claude Bouchard of Pennington Biomedical Research Center. Dr. Bouchard is an eminent scholar of genetics and nutrition at LSU who was visiting our campus to give a presentation about his research and to meet with our faculty and students. 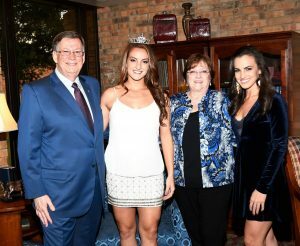 Late Tuesday afternoon, Kathy and I went to the Marbury Alumni Center to visit with several of our former Miss Louisiana Techs who had returned back to campus for a reception and to attend this year’s Miss Louisiana Tech pageant. 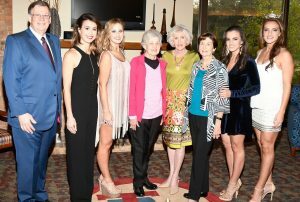 We were so pleased to have 3 of the first 4 Miss Techs in attendance including Mrs. Leu Strange Wilder, the first Miss Tech from 1957. Leu and her husband Billy continue to be active and loyal supporters of Louisiana Tech. 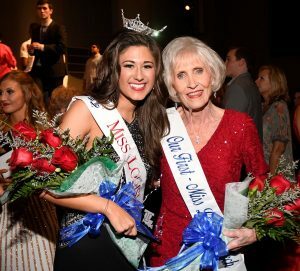 Kathy and I also enjoyed visiting with Joan Marie Burt Edinger (Miss Tech 1975) and her daughter Eva Edinger (Miss Tech 2015). Joan Marie actually sang at our wedding in 1975, so we have been friends for a long time. Another Tech trivia fact is that Eva was crowned as Miss Tech 40 years to the day after her mother was crowned. 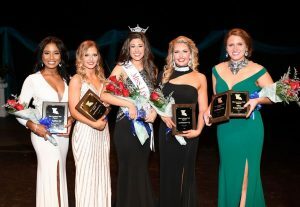 Later Tuesday night, we enjoyed watching the pageant and celebrated the crowning of Miss Tech 2017, Anna Blake. 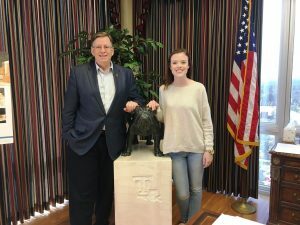 Anna is a very talented student and Ruston native, and will do an outstanding job of representing our university. 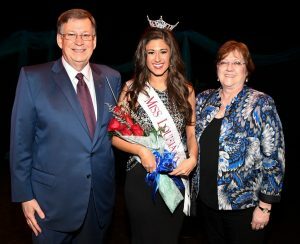 I am particularly thankful for the tremendous leadership that Rachel Vizza provided over the past year as Miss Tech 2016. What a special evening with these special ladies! Congratulations Miss Tech 2017 Anna Blake!